Astrobiologists can now add a new term to their lexicon: The Venus Zone. Astrobiologists can now add a new term to their lexicon: The Venus Zone. It describes the area around a star in which a planet is likely to exhibit the inhospitable hell-like conditions found on the planet Venus. 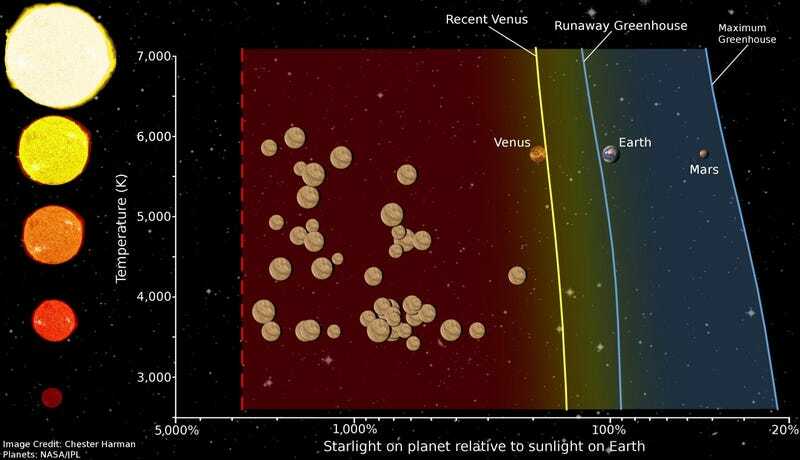 The concept will help astronomers determine which exoplanets are more analogous to Earth, and thus friendlier to alien life.